Middle Independence Gold Claim is the richest section of the entire Klamath River! 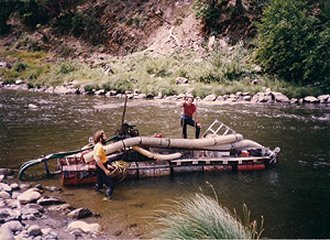 Two friends and I began dredging for gold on Josephine Creek in southern Oregon the day after Christmas in 1979. We should have waited until the spring thaw, but we were young and full of motivation. Conditions were miserable, and we paid a heavy price going out every day in 35-degree water. We didn’t have a clue about how to trace down high-grade gold deposits. We were sleeping in a 5-man summer tent. It was cold, cold, cold! We had to thaw out our dry-suits in front of a campfire in the morning to keep the rubber from breaking and causing leaks. Our camp got fully flooded by the river in the middle of the night because of heavy rain. A lot of things went wrong. We only found a little gold. But none of that deterred us. My two buddies and I immigrated over to the Trinity River in northern California in mid-February of 1980. This was because someone told us there was a major gold rush going on over there. People supposedly were just picking big gold nuggets right off the stream banks. But we didn’t find anybody doing any mining over there during the winter months. The river water was 34 degrees! While our dry-suits more or less kept the cold water out, face exposure to the freezing water gave us headaches so bad that we wanted to vomit. Hand exposure made our fingers burn just as if we stuck them in the campfire! It was absolutely miserable. My partners gave it up before the spring thaw. They believed there were much easier ways to make a living; and of course, they were totally right! We had met other guys on the Trinity that were supporting themselves from the gold they dredged during the summer months. They actually lived in houses! They were talking about sampling for hard-packed streambeds. They were talking about lines of gold and pay-streaks. This was music to my ears! Encouraged about their stories of recovering multiple ounces of gold per day in the river, I stuck it out in the forest, living by myself in a tent about a mile below the small community of Del Loma on the Trinity River. It was pretty rough. 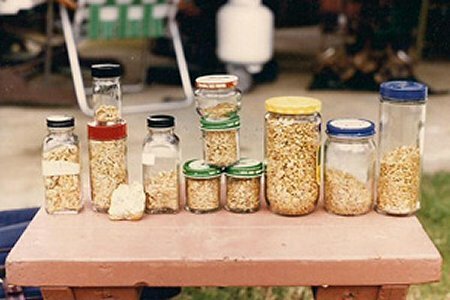 It was all about basic necessities in those days! I had figured out enough by the spring of 1980 that I was just barely supporting myself with a 6-inch dredge. I say just barely, because I had virtually no expenses except for the food I was eating (which was plenty), fuel for my dredge and motorcycle, and some minor upkeep. It didn’t take much gold to keep me going. My living space eventually evolved into a larger timberline tent made of canvas, including a wood stove for heat during the winter months. That was a huge upgrade in my standard of living! I dredged by myself through the summers and winters of 1980 and 1981. There were times that the water in the Trinity dropped to 33 degrees. It was absolutely miserable! But by then, I had figured out how to trace down the lower-grade gold deposits, and I was building up a savings in gold which I kept in a safety deposit box at Bank of America in the nearby town of Weaverville. I didn’t allow myself the luxury of an automobile until the fall of 1981. It was a pretty used up Jeep Wagoneer that had an oil leak which I never was able to repair, as many times as I tried. Anytime I got the car going faster than 50 miles an hour, all at once, the oil would drain from the motor out the rear main seal. So I drove slowly, and I brought plenty of extra oil along. The Wagoneer was better than the motorcycle during the winter months. My older brother took an interest and came to dredge with me during the winter months of 1982. That was just when I was getting pretty good at finding higher-grade gold deposits. We found a lot of gold that winter, though conditions were absolutely miserable. I have to give my brother credit for sticking it out. Not many people would have done it! You can read about those days in my book, Extreme Prospector. By then, Eric Bosch had showed up on the scene, and we were working together at times. But even Eric, tougher than me, was not dredging the Trinity River during the winter months. With my gold savings, along with contributions from Eric and my two brothers, we bought a beast of a Dodge Power Wagon and devoted the summer of 1982 to dredging for gold in British Columbia and Alaska. This is a very exciting story that is also told in the most detail in my book, Extreme Prospector. We struck it rich up there in Canada. But the authorities ran us out of the country and basically invited us to never go back. I decided the seasons in Canada and Alaska was too short to support my mining career, anyway. I devoted the summer of 1983 back on the Trinity River dredging side-by-side with Eric Bosch. He had a 5-inch dredge. I had a 5-incher and my 6-incher. We were knocking out the ounces of gold. But Canada had spoiled us. We wanted to get back into pounds of gold! While the Trinity was good, it was not delivering up the high-grade we were looking for. There were also a lot of serious guys dredging on the Trinity during 1983; perhaps a hundred guys. The place was crowded, and I was not seeing much of a future there. I only owned a single mining claim. Other places I wanted to dredge required me to make deals with the owners. In 1981, the standard deal was 10% of the gross recovery to the owner. By 1983, the owners wanted 20%. I got knocked out of the best deposit I found on the Trinity by a competitor who came in and offered the owner 25% if he could take my place. It was a pretty cut throat environment. Ten percent to the owner is a fair deal when the dredger does all the work on the risk that he might not ever find anything worth mining. You have to be careful about the deals you make, or you can set the foundations to undermine your personal integrity. One of the dredgers I got to know over there was a guy by the name of Alan Copp (Al). He was a nice guy and a hard worker. 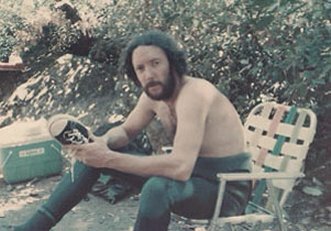 Al had more mining experience than me, having dredged on the Yuba, Salmon, Scott & Feather Rivers, and even did a mule-pack trip to Virgin creek up off the New River the year before I met him. He had been around. I, on the other hand, had more determination than anyone on the river. Nobody else was braving the winter months out there, but me! Al and I both were looking ahead, trying to figure out something better than the Trinity. We were looking for somewhere to carve out something valuable for ourselves. I had already ruled out Alaska because I didn’t want to get reduced to a two or three month season. The image at the beginning of this story presents a pretty good profile of how determined I was in those days. It was Al who was suggesting in that we go over and look at the Klamath River. We made a few trips over there for a look. My first impressions about the area were not good ones. The river was huge compared to the Trinity. It never appeared to run clear. There was not a single dredge that we could find operating on the entire 100-mile stretch of river we looked at during 1983. That was a bad sign. You would think if there was any gold in the river, at least someone would be over there mining it! And the place was absolutely wild in those days! There were so many logging trucks racing up and down Highway 96, you took your life in your hands just driving down the road. I’ll never forget this guy in a pickup truck weaving all over the road, going about ninety miles an hour, passing us just as Al and I pulled into Happy Camp the very first time (for me). We pulled into the parking lot of the liquor store to buy something cool to drink. There were a bunch of menacing-looking guys out front when we went in. When we came back out, two of them were having a knife fight right in front of Al’s truck. We didn’t hang around to see who won the fight. The place was wild, man! Al had spent time there during earlier years. He was telling me the mining history of Siskiyou County was better than the Trinity. We went around and looked. There were some very serious dredging programs happening on both the Scott and Salmon Rivers. But those guys did not appear welcoming or friendly in any way, and those rivers were claimed solid at the time. No openings! Al had history with several old-timers along the Klamath River. One of them was a guy by the name of Bud Woodworth who had already passed away. Before dying, he confided in Al about rich gold deposits in the Klamath below Horse Creek, and others in the Happy Camp area. Al and I went around and looked at those places. There was not a single dredger around. But I believed what Al was telling me. That is to say that I believed that Al believed the stories. It was a beginning. Note: We found out years later that all the places Bud Woodworth told Al about were rich, rich, rich! So when we returned to the Trinity, I doubled my efforts at recovering gold from the lower-grade gold deposits I had already located there. 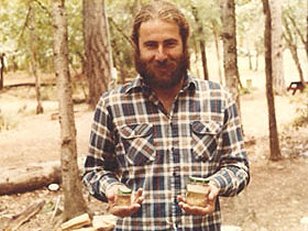 I was known in those days as “Ounce-a-Day Dave,” because I would invest as many hours that I needed to recover at least an ounce of gold every day, most days not returning to my tent until after dark. Then I took a risk and hired another friend of mine by the name or Harlan Cockcroft, otherwise known as “Red,” to move over to Yreka and research for open mining property along the Klamath River. Yreka is the county seat of Siskiyou County. I was paying Red $300 a week, plus $100 for every mining claim he could locate on my behalf. This was going into the fall of 1983. The problem was that nearly the entire Klamath River was unclaimed; and it did not take long for me to become indebted to Red from all the $100 bonuses I owed him. I finally had to lay him off! After all, how many mining claims does a guy need? Besides, the fact that there was so much open river there cast a shadow over the gold potential. If the river had gold, where was everybody? Maybe they were all over on the Trinity River! 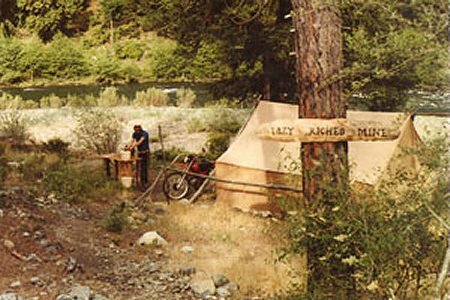 I found out later that there was a full-on gold rush happening on the Rogue River in southern Oregon. But at the time, Al and I knew nothing about that. I started my 1984 season on the Trinity, because I still had proven gold deposits to mine over there. That was my first year using an 8-inch dredge. I crewed it up with several motivated guys, including Eric Bosch. By now, I had several books published and my first video on the market. It was the only video which showed newcomers how to dredge for gold, how to sample, and all the important stuff. So I had already begun making a name for myself. Around thirty people had signed up at $300 per week to dredge near me so I could give them some help and guidance on their own dredges. I moved into a house that summer, along with my dredge crew, and allowed my students to camp in the yard. With the extra income from my students, I was pretty comfortable over there mining lower-grade deposits on the Trinity. Al decided to give the Klamath River a try during the season of 1984. He teamed up with one of his longtime friends, Doug Gunning. Those guys were airline mechanics. They had a sweet deal where they could contract their services whenever they wanted to. They were able to make good money during the winter months. But their real passion was dredging for gold. In all, they dredged together for more than 14 years. This speaks strongly about the character and integrity of the two guys that made the original dredging discovery on the Klamath. This is because volumes of pure wealth would tear any normal relationship to shreds! I can tell you this is the case with anyone whoever has dredged up high-grade gold deposits. There is something about finding and recovering pure wealth that gets in your blood. Uncovering raw gold on the bottom of a river, which is yours to keep, sparks deep passions similar perhaps to winning big in a poker game and raking in all those hundred dollar chips. It produces feelings of exhilaration that few other life experiences can generate. 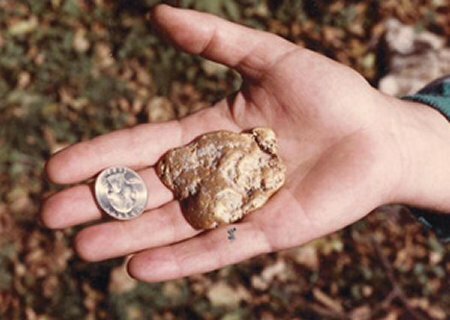 Finding high-grade gold deposits is about as good as it gets. Once you have done it, I don’t think you can ever get completely out of your system your deep desire for the next high-grade gold deposit. The days of 1984 were before mobile phones and the Internet. We didn’t even have a phone in the house where we were staying. So there was no way to keep in touch with Al and Doug when they went over to the Klamath. I figured they would return to the Trinity if they didn’t find any gold – and I admit that I expected them to return. Even though I had invested so much money on mining property over there, the claims came so easy, it was hard for me to believe any high-grade was going to be there. That would have been too good to be true. My own dredging program, and looking after a bunch of students, kept me more than busy along the Trinity during the first half of the 1984 season. We had not heard a single word out of Doug and Al. My best guess was that they called the season quits and went back to aircraft work. Finally, on just a notion, I made a day-trip over to the Klamath to see if I could find them. I spotted their dredge on the river about thirteen miles downstream from Happy Camp. Their dredge was running when I got there. Their dredge was running when I arrived on the scene. Doug and Al operated their dredge differently than Eric and I on that particular day. They were mostly taking shifts with one guy down at a time and the other on deck knocking out plug-ups and keeping an eye on some change they had made on their recovery system. Those were the early days where we had already worked out standard underwater teamwork procedures for two or more guys working underwater together to get more work done. We could really tear it up! Doug was on the deck of their dredge when I arrived. Wearing just my shorts, I swam out to their platform. It was anchored to something out in the river. Doug was happy to see me. He said they were doing pretty good. I asked if I could borrow the second set of diving gear and go down for a look. Doug helped me gear up, and I went down the ladder. That’s when it really hit me how warm the water was. We were wearing full wet-suits on the Trinity. The water temperature in the Klamath reaches the high-70’s by mid summer. You don’t even need a wet-suit to dredge there! Not wearing a wet-suit jacket is like being liberated from a straightjacket! Those guys clearly had invested a lot of hard work in this dredge hole. There was a large tailing pile behind the dredge. I found Al in about seven feet of water taking a top cut off the front of his dredge hole. He recognized me when I got down there and gave me a big thumbs up. I started moving cobbles out of his way as he continued sucking off the top-front portion of his hole. The top material was kind of a semi-packed brown color. It was not very impressive. There was about five feet of it. Then Al showed me where this brown layer made contact with a very hard-packed layer of gray material; something I never once saw on the Trinity. This was original, ancient streambed that had never been mined before. I saw a beautiful rice-sized piece of gold sitting right on top of it, and pointed it out to Al, thinking I was showing him something special. Al waved that off and signaled for me to be patient. Then he uncovered a larger swath off the top of the gray layer and the whole thing looked better than the best Christmas morning I ever experienced. There were rice-sized pieces of gold lying everywhere! In three years of dredging on the Trinity, I never saw a deposit that rich. There had to be more than an ounce of gold just in the small swath that Al uncovered for me! In that very moment, I realized that the whole world had changed. The feeling was like being late to the party! Even though that was just the beginning of the bigger party. After sucking up that gold, we went up on the dredge to have a talk. When they shut down the dredge, I could see their sluice was piled up with gold; maybe five ounces, maybe more. They didn’t have to tell me the deposit was rich, rich, rich. It was a sharing kind of experience. Gold mining is kind of like fishing or hunting. You really do want to share your successes with your friends. I’m not talking about sharing the gold. I’m talking about sharing the enthusiasm and appreciation for a super rich discovery. The only thing better than that would have been if the discovery was mine! They recovered this 3-ounce nugget about the time I arrived on the river! Al and Doug had long-since filed a mining claim on their discovery, taking up a little more than a mile of the Klamath River, starting just downstream of the confluence of Independence Creek. They figured that was more than they could dredge in a lifetime. They were more than right about that, and actually mined just a fraction of the claim before they retired from dredging four or five years later. Al and Doug expressed no reservations about me moving over to the Klamath with my crew and students. I wasted no time getting back over to the trinity that afternoon! Then I contacted all the students who had signed on to spend time with me that summer, offering their money back if they did not want to go with me to the Klamath. Everyone wanted to go! It took us a day to get all our existing gear together and move out of the house. The guy I was leasing from was nice about our sudden departure, and has actually stayed in touch over the years. 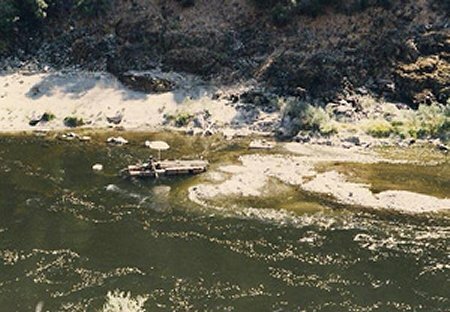 About a dozen guys and I arrived on the Klamath just two days after I found out that Al and Doug had struck it rich over there. It took us a few weeks to make it happen, but we all ended up in a rich deposit about fifty miles upriver. Our best day on my 8-inch dredge that season was twenty-four ounces. The largest nugget we found weighed more than a pound! After all my students and crew departed for the season, Eric and I located a second deposit further downriver just upstream from Savage Rapids, a place we later named the “Mega Hole,” and we recovered one hundred ounces of gold in just two weeks of hard work. 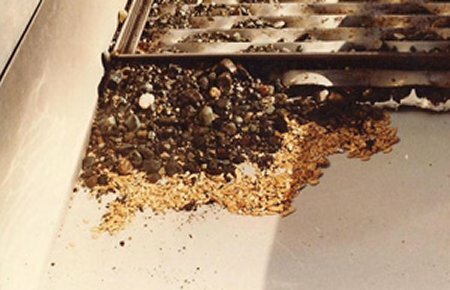 When you get into high-grade on the Klamath River, the gold adds up very fast! Al Copp was totally correct in his early predictions. 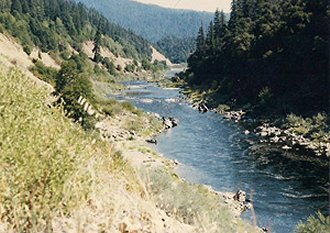 The Klamath River provided much better high-grade dredging opportunity than the Trinity. We were very fortunate to be the first ones over there! So I hired Red back on to finish up his research and pick up more mining property along the Klamath River and its tributaries; enough to start a mining club! That turned out to be a move that would forever change my life, and alter the paths of thousands of others. Here is an image Al shared with me of just some of the gold they stacked up dredging in that one area. There are around 250 ounces in this picture. As many places as we discovered high-grade over the years, we never found any mining property as rich as the original mile that Doug and Al claimed. In fact, I have never seen any place in my whole career that was so consistently rich. Doug and Al, for the most part, remained in that single high-grade deposit during their entire time on the claim. The area they mined is just a drop in the bucket compared to the overall size of the property. They did not mine the faster water areas, and they did not even sample the shallower areas further up the property, much closer to the sources of all that gold. They did little or no high-banking or crevicing on the exposed and shallow bedrock areas that extend the full length of the property. And they did not allow others to mine on their gold claim. They were the first there, and they kept that property to themselves as they watched with some level of amusement as I started The New 49’ers a few years later and flooded the river with a new generation of miners. Al Copp and I remain in touch these days. He is a dear old friend that was present just as I was getting my life in gear. We made the important transitions together. You never forget friends like that. These days, Al reminds me of how good it was during those early years. He is right, too; it was great! But the best days are still ahead! I have been waiting 28 years to put my own suction nozzle into the section of river just below Independence Creek where nobody has gone, yet! We just acquired that property after all this time. Full circle; we are now back to the place where it all began! I’ll be in there with an underwater gravel transfer system this summer. I can’t wait! I generated a gold rush over to the Klamath River when I founded The New 49’ers in 1986. But it was Al Copp and Doug Gunning who went over there ahead of me and made the first rich discovery of our generation. If they had not done that, there is no telling where you and I would be today. But it is certain that you would not be reading this bit of history!